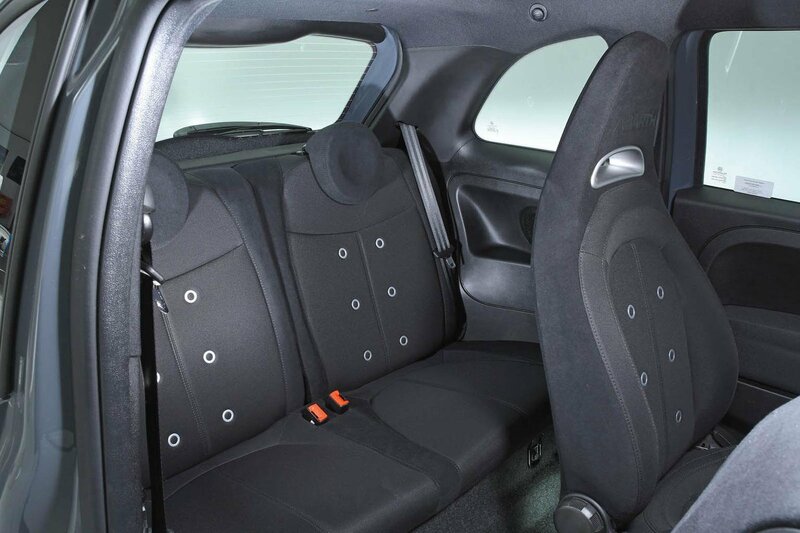 Abarth 595 Boot Space, Size, Seats | What Car? Although the front seats are mounted fairly high, you’re only likely to have issues with head room if you are well over six feet. Likewise, the seats slide back far enough to just about accommodate long-legged drivers. 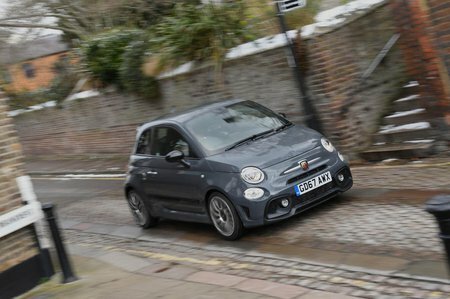 The 595’s interior is also a fine example of style over function; that body-coloured face on the dashboard looks great but means the glovebox that sits below it is very pokey, while the door bins are even smaller. At least there are two good-sized cupholders below the dash-mounted gearlever. 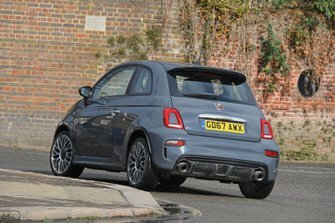 Getting into the back of the car isn’t as easy as in many rivals because the 595 has only three doors. As with many of its hot hatch rivals, there are only two rear seats that, while they will fit two adults, are pretty cramped. A similarly sized Volkswagen Up GTI is far more spacious, and there are larger rivals still. There’s enough room for a few shopping bags in the 185-litre boot, but most rivals, even those of a similar size, have considerably bigger load areas, with smaller lips at the entrance and wider boot openings. Fold down the rear seats and the space grows considerably, but the seats lie at a slight angle and there’s no false floor to iron out the annoying step in the extended load area when the seats are down.